In our new studio/office/viewing space we often discover engaging relationships between the works in the collections. From time to time we will share these moments of visual pleasure and, often, thought-provoking associations through small curated groupings. In the grouping below the emphasis is on the portraiture. In the last body of work Greg Curnoe produced he focused on his self portraits, pictorial watercolours and stamped lettered work. 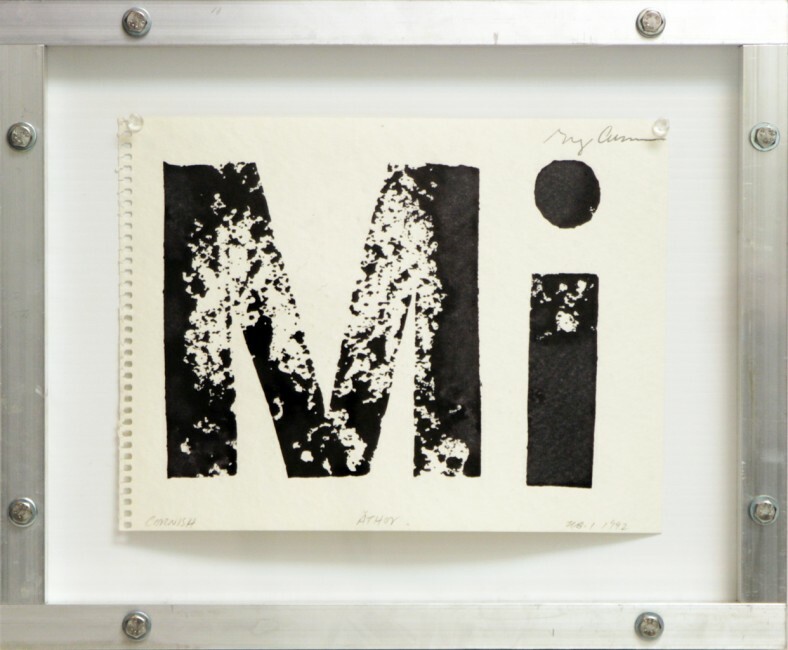 In these lettered work on paper he referred to the text “I am” in four languages; English, Cornish, French and Objiwe (as in MI ). Sara Angelucci often refers to her own family history as she investigates her own place. 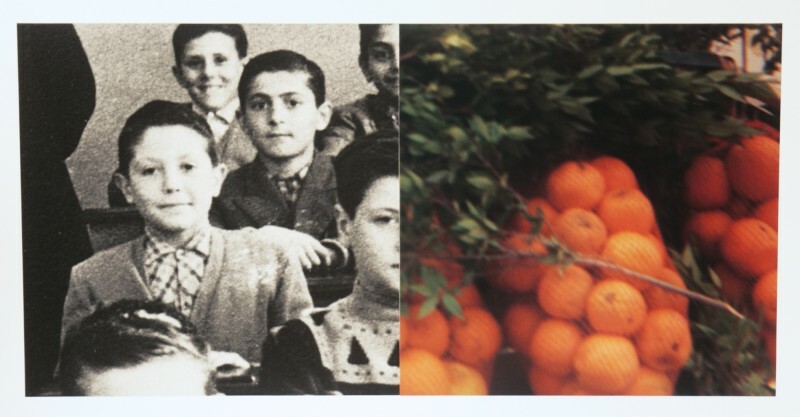 In this work she juxtaposed an old family snapshot with her own photograph of oranges found in the village home of one of her relatives in Italy. Sara Angelucci is currently Artist in Residence at the Art Gallery of Ontario, November 20, 2013 – January 20, 2014. 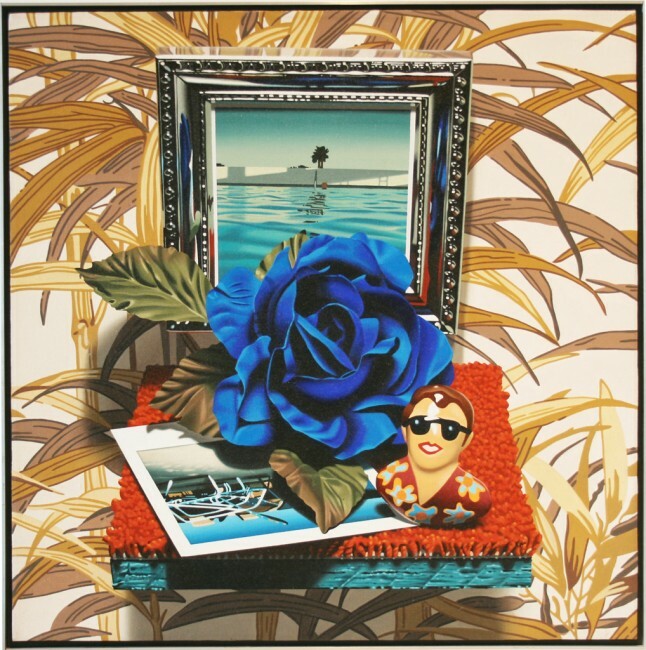 John Hall produced a series of paintings in 1980 referring, as was his practice, to photographs of his still-life assemblages. His objects were collected from around house and studio and especially on travels, including a small ceramic button placed in all the groupings that represented him. Posted November 22nd, 2013, by admin.